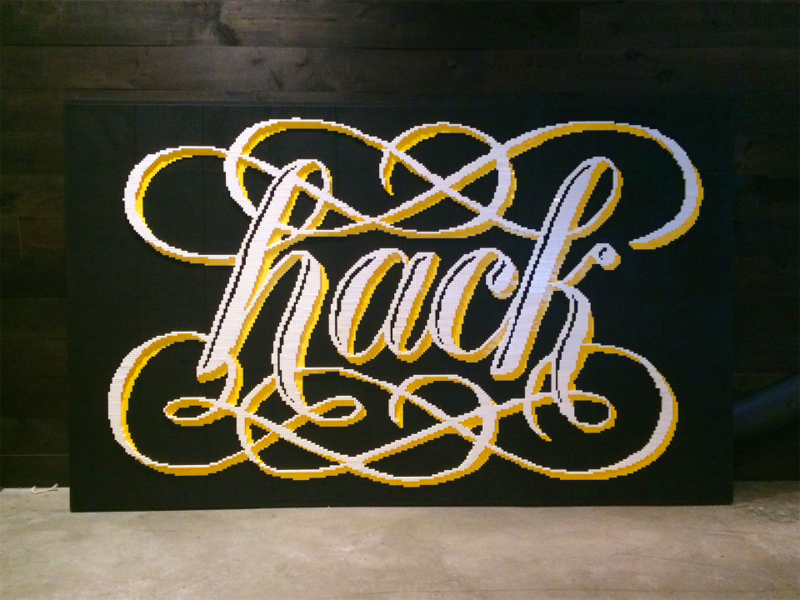 We’ve seen quite a few concepts rendered in LEGO in years past, but perhaps none quite so curvilinear as this lettering done in honor of Dropbox’s 2014 Hack Week. 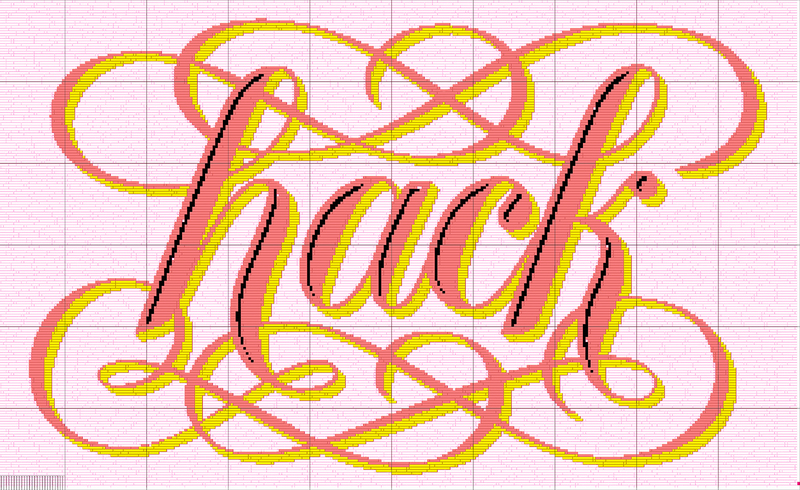 The original vector lettering was drawn by Alice Lee, who put together a wonderfully thorough process post. 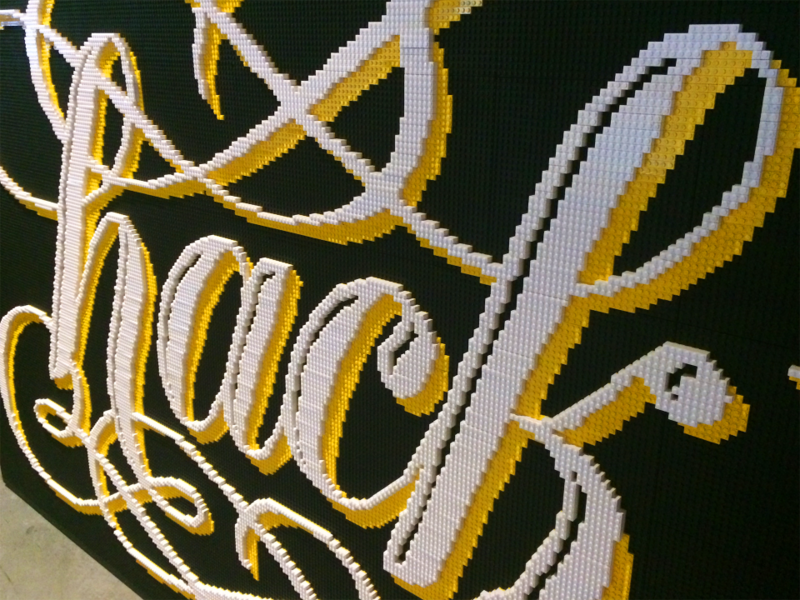 Alice first sketched the lettering in Photoshop, cleaned it up in Illustrator, then ran it through PicToBrick. This program converts images into LEGO templates, and significantly, suggests the optimal number of bricks in order to render your design. Think the opposite of Illustrator’s point-happy Live Trace function. 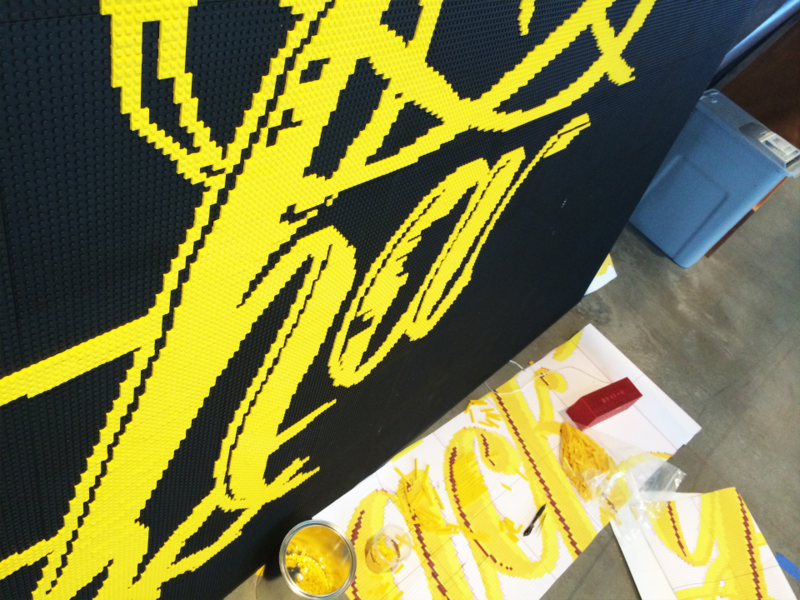 Head over to Alice Lee’s case study to watch the process video and learn some specific tricks for building with LEGO.